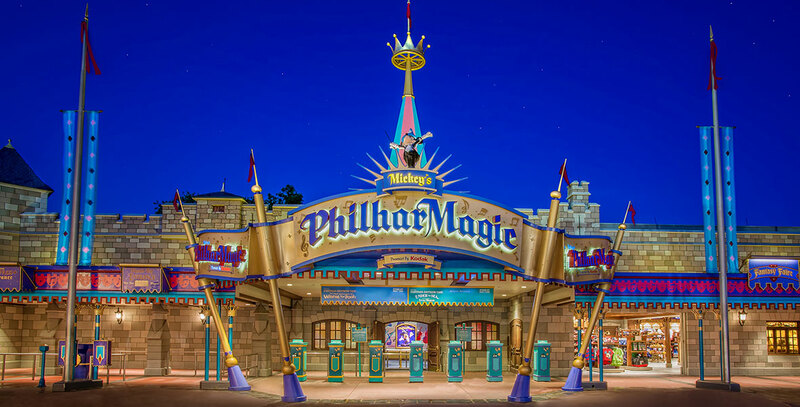 Mickey’s PhilharMagic Computer-animated 3-D film attraction in Magic Kingdom Park at Walt Disney World; opened September 30, 2003. A Grand Opening ceremony was held on October 8. Donald Duck swipes Mickey’s sorcerer’s hat, then tries to conduct a symphony, but ends up stumbling into scenes from classic Disney animated features. Also at Hong Kong Disneyland; opened September 12, 2005, and Tokyo Disneyland; opened January 24, 2011.